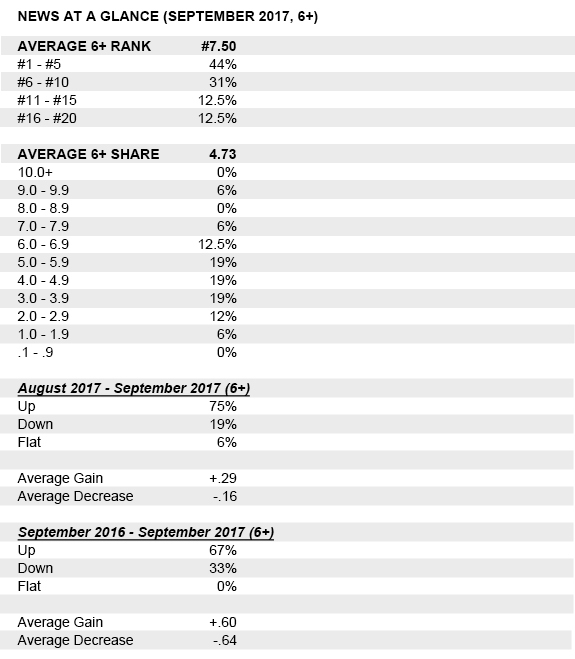 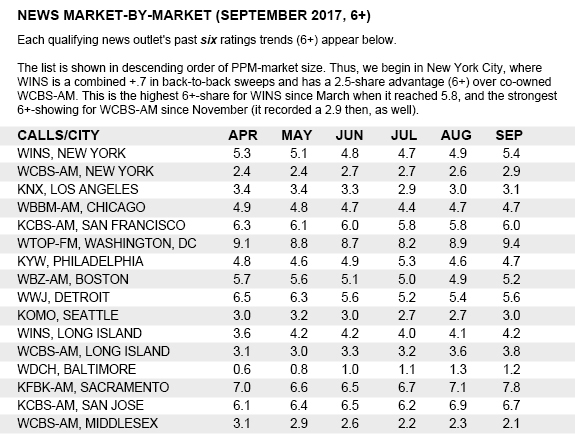 LOS ANGELES — The first in a four-part series of September 2017 ratings recaps begins with all-news operations, where our qualifying panel posts strong month-to-month and year-to-year gains. 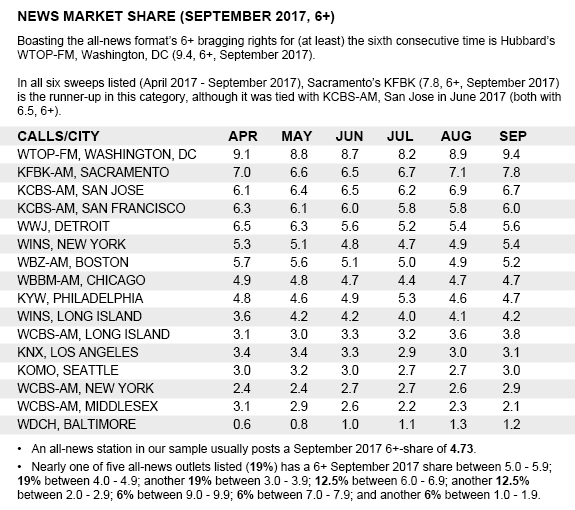 The following scoreboards are comprised of all-news stations that appeared in the top 20 (6+) in any of the 48 PPM-markets in September 2017, a ratings period that covered August 17 – September 13. 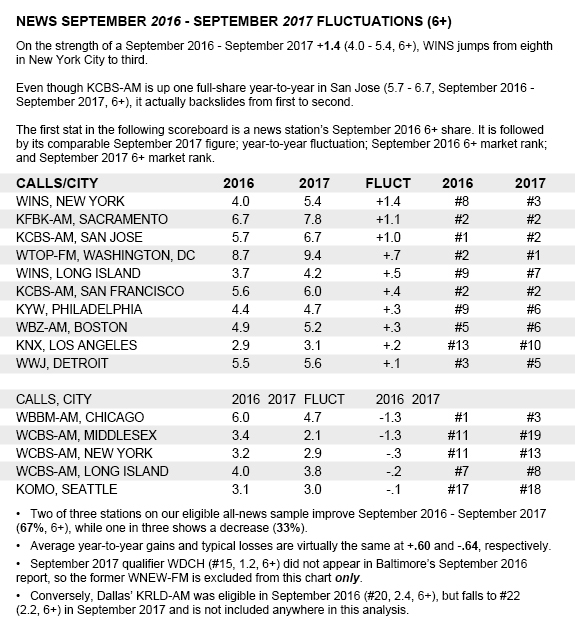 With the exception of WTOP-FM, Washington, D.C. (Hubbard); KOMO, Seattle (Sinclair Broadcast Group); and KFBK, Sacramento (iHeartMedia), all stations listed here (strictly by coincidence) are CBS Radio-owned properties. 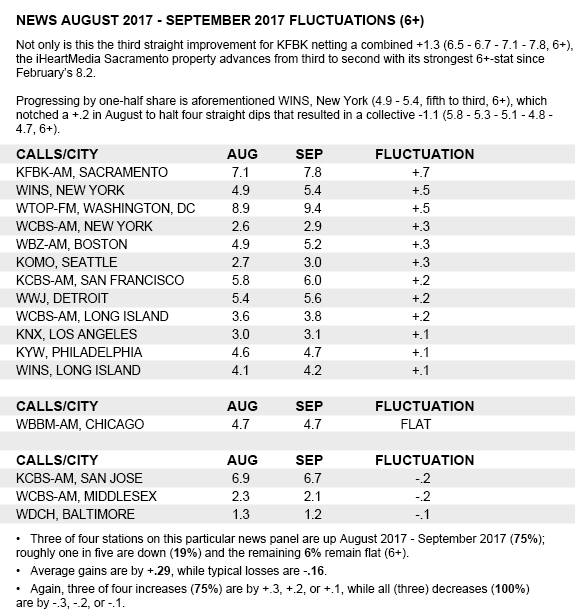 While principally all-news the majority of a 24-hour day, a few stations shown here run talk blocks and could be considered news – talk hybrids. 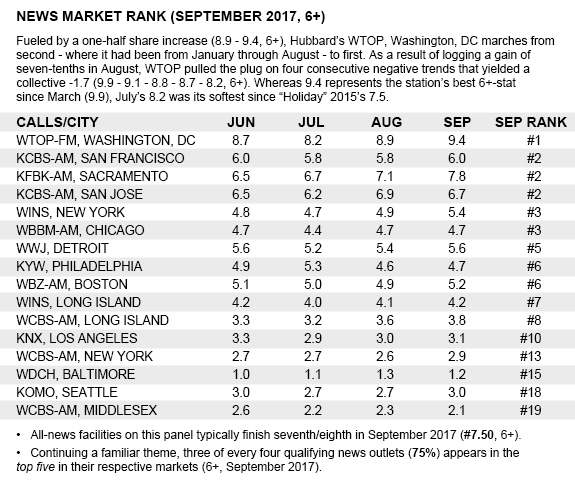 Appearing in the Baltimore report, WDCH airs a business news format and is operated by Bloomberg.